A WebmasterWorld thread notes that if you do a search over at Yahoo! Japan's image search, and then click on an image, it opens the image in a larger view and let's you flip through other images. Notice of the image overlaid on the other results and a little player came up at the bottom. 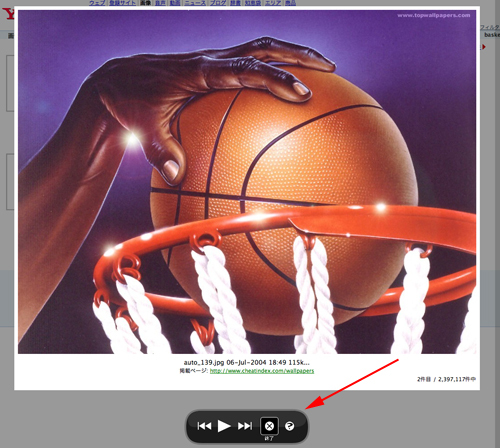 The player lets you close out, go back, go forward, play or get more information about the picture. Will this be coming to Yahoo! Images USA, I doubt it. FYI, Yahoo! Pictures is closing down for Yahoo! owned, Flickr. Flickr images already show up in Yahoo! Search for image related searches. Flickr sports a neat Flash slideshow player, that is something like this, but not exactly.